This site was long overdue for a rebranding. 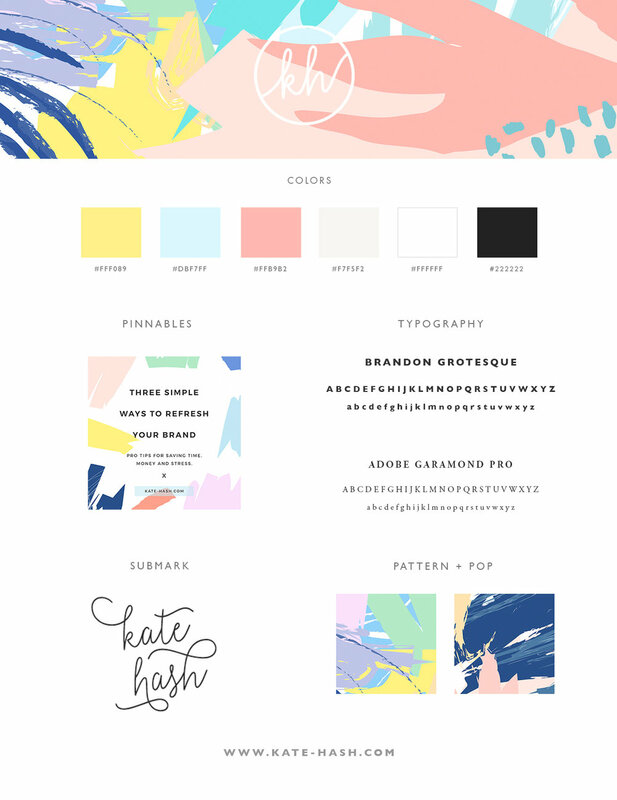 Navigating the transition from self-employment to office work meant that I got rid of our old business site (RIP Hash Consulting) and had to quickly throw up a personal brand site. These days, I think everyone should have a personal brand site. It's great to have a web address to put on resumes, calling cards, LinkedIn, etc. You never know when you'll meet someone at a conference or networking event and want to give them more information about you and your work. Also, because so many of us have passion projects, too, it's a great way to showcase your well-rounded interests. Light blue, gold and texture. Once I had the inspiration, I was ready to start working. The color palette was directly sampled from some of my inspiration photos/pins. The textures I searched for and found on Creative Market, my go-to for these sorts of elements. I know some designers like to start with the logo, but for me, the colors, textures and baseline fonts get my creative juices flowing. I sketched out (yes, with a pencil and paper) a few ideas and ended up with a circle, script-influenced logo that looks very close to my initial brainstorms. I wanted a logo that was simple, yet fluid, and I think I got it. If you're interested in a personal brand site, contact me for details.